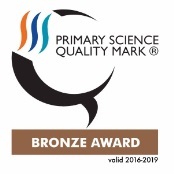 Our school is very proud to have been awarded the Bronze Primary Science Quality Mark, recognising our schools dedication to Science. What better way to capture the imagination of children than through the subject of science! The importance of science in school is clear as it attempts to stimulate the children’s curiosity and interest in the world around them. Scientific concepts are developed through the children’s own investigations, enquiries and experiences, which also supports and encourages clear communication, patience and most importantly perseverance. The school has conservation and pond areas, which cultivate biodiversity and help to inspire individuals through positive outdoor learning experiences. We also enjoy yearly participation in British Science Week, with the British Science Association. Each of these areas cover a variety of exciting and interesting scientific topics. Assessment of both children’s learning and enjoyment of the subject is constantly ongoing as it is integral to the development of planning and ensures that knowledge and understanding within this science is progressive and being achieved.